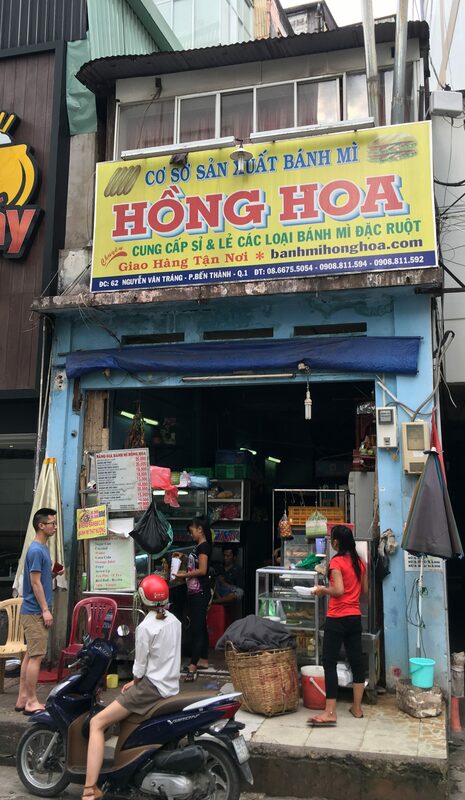 One of the other well talked about Banh Mi locations in Ho Chi Minh, it’s around the corner from another famous cousin Bánh Mì Huỳnh Hoa. Is it as good? 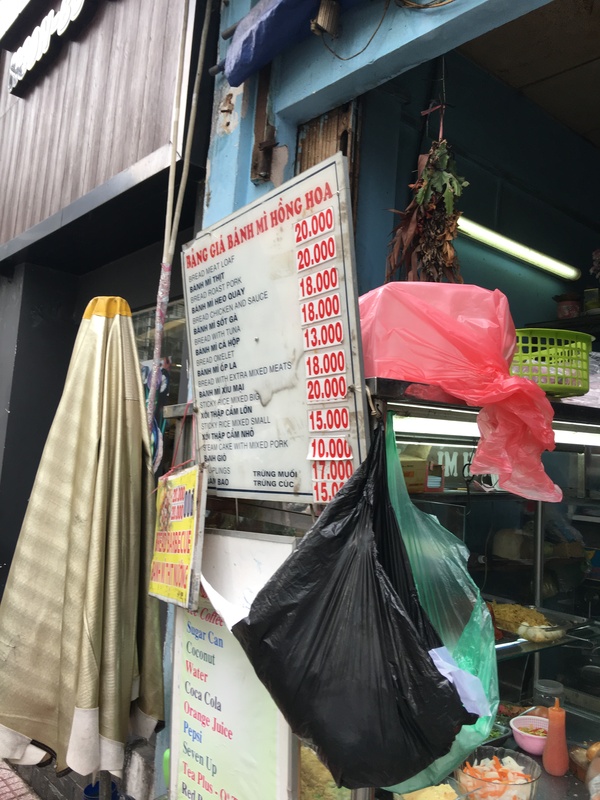 The price list and a bit of the banh mi making station. They have their own bags. And here it is, a little light on the meat I thought. 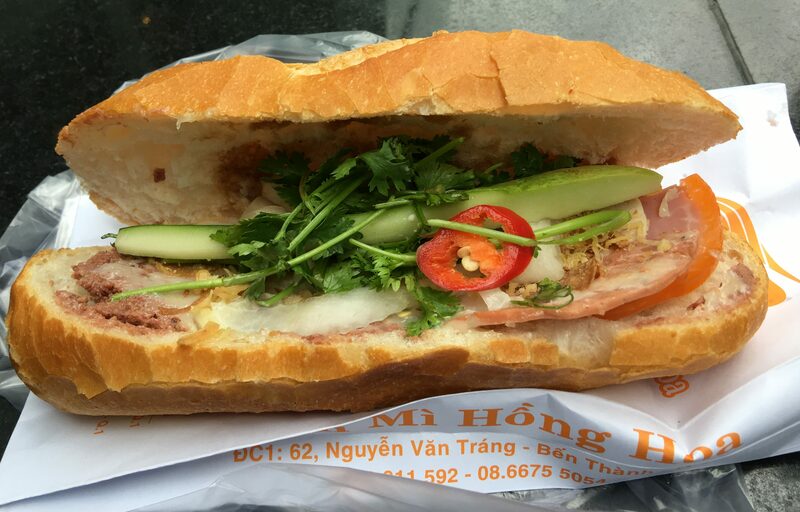 And it must have been a long day or bad timing, but the lady making the Banh Mi wasn’t in the greatest of moods. The taste is good, no doubt about it. The bread crisp and crusty. The fillings were good too – except it needed a little more. I like their cousin better. 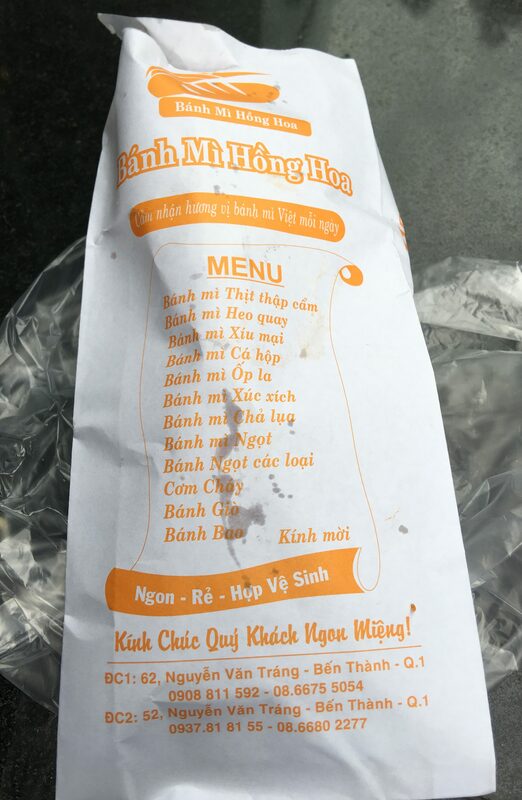 Posted in Banh Mi, Ho Chi Min CityTagged Banh Mi, Viet, Vietnam, VietnameseBookmark the permalink.